This is the new My Little Pony Equestria Girls Minis Twilight Sparkle Doll with Slumber Party Playset! This adorable doll comes with Spike the puppy and loads of accessories to play with. There are also single doll versions of these, in case you just want to collect the dolls. Toy News: Funko Dorbz Ecto-1 and XL Stay Puft Marshmallow Man Vinyl Figures! 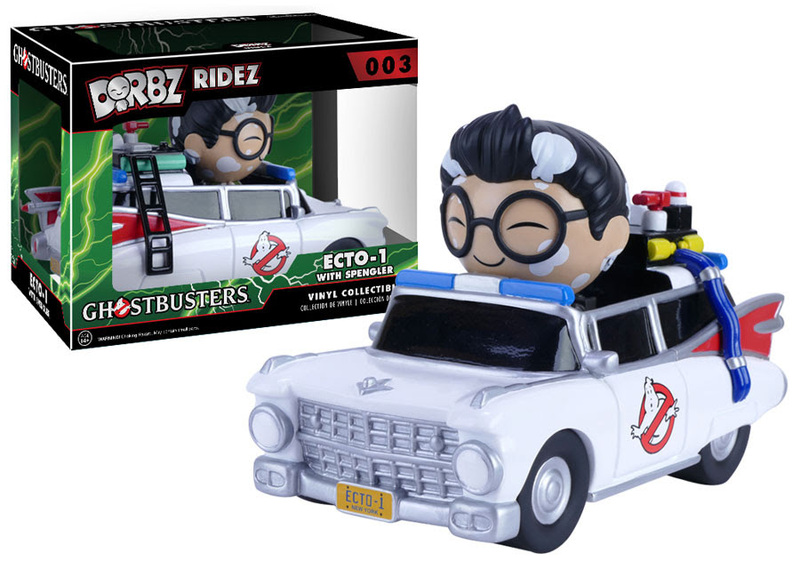 Announcing the Dorbz Ridez Ghostbusters Ecto-1, an incredibly charming vinyl that Spengler likes to ride around in! This add on to the Ghostbusters Dorbz toy line, is classic and fun! Egon Spengler is marshmallowed in this version too. Dorbz Ridez Ecto 1 With Spengler vinyl figure, Funko. This really exciting creation would look awesome on any shelf.